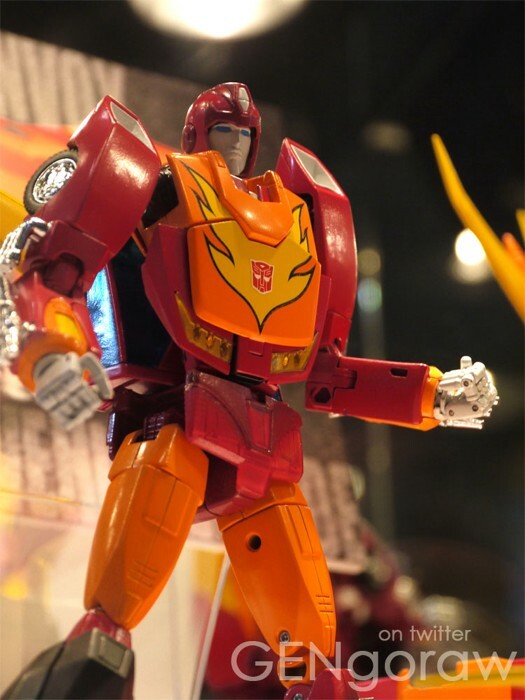 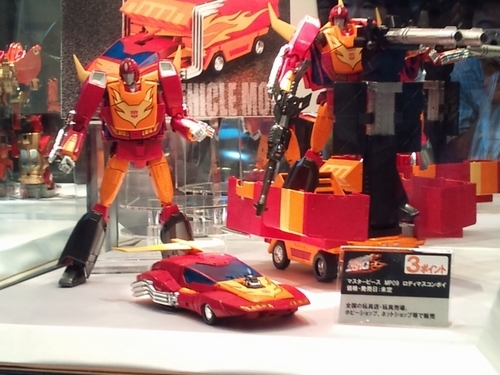 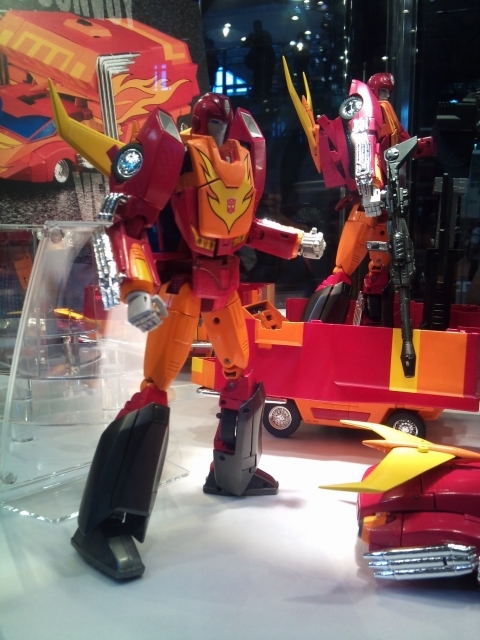 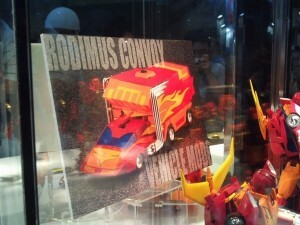 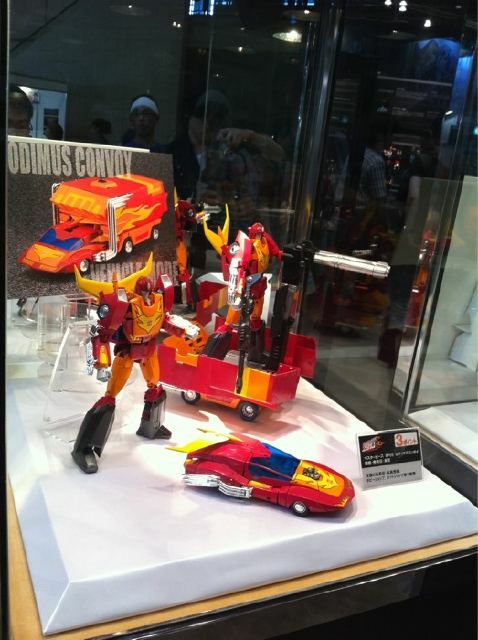 A whole new set of pictures from Chara Hobby show thanks to Tformers.com show the final painted version of Masterpiece Rodimus Prime. 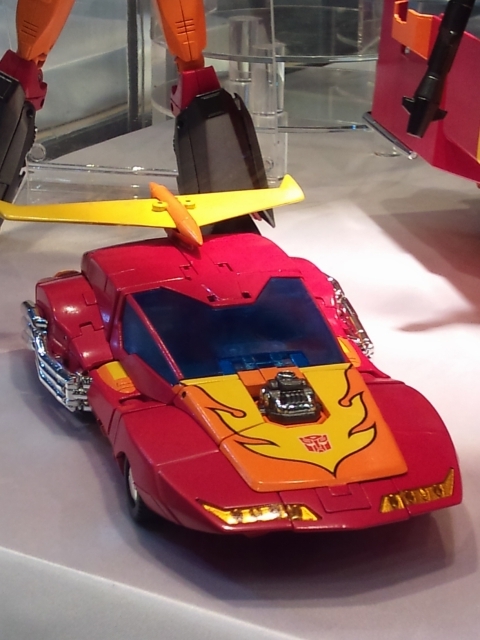 The pictures also confirm suspicion it would be the first MP Tripple Changer Transformer as it has two Alt modes. 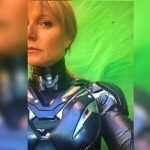 A few weeks ago the first pictures of the Rodimus Prime prototype which showed the basic figure but now we have shots of all the little detail. 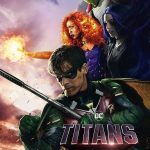 Extra features include the cartoon movie Hotrod goggles, transforming trailer, chrome pipes and a whole lot of awesomeness. 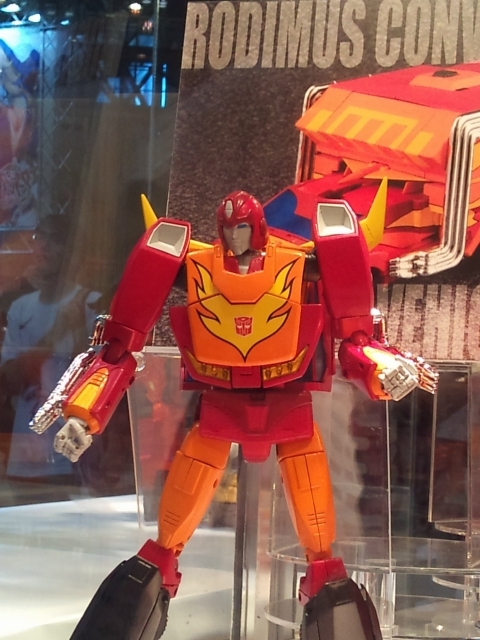 MP Grimlock has only just made it to a Hasbro release and still yet to be released, Hotrod was a much less popular character than Grimlock and is more than likely to be just a Takara exclusive.